In the last few days, we’ve seen a couple of storms in teacups. There was the BBC’s “Faces of 2011 – the women” (or “pandagate”), and then yet another Jeremy Clarkson faux pas. In the former, widely picked up on by social networks like Twitter and Facebook, and quickly followed up on by newspapers, we were supposed to be appalled that the BBC had apparently chosen a panda as one of the women of 2011. This coming swiftly on from the all-male Sports Personality of the Year shortlist. 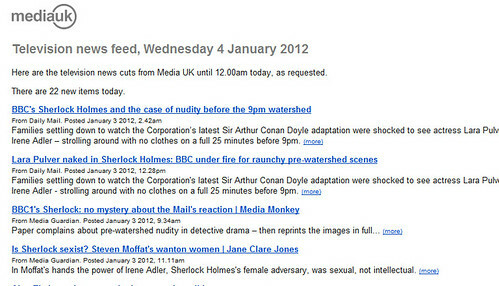 Proof positive that the BBC is sexist? Well… no. It’s a list in the BBC News’ “Magazine” section of the website and just reminds us of some of the faces of 2012. Not the women of the year. Was there a more appropriate actual human being that whoever wrote the article could have picked? Probably. But it really doesn’t matter. At the end of the day, it’s a relatively pointless list. There are some serious people on there, like US Congresswoman Gabrielle Giffords who was shot and Eman al-Obeidi who had been beaten and raped in Libya, but like any news review, the list mixed the serious with the frivolous. In 2010, the list included childrens’ cartoon character Peppa Pig. I don’t remember a similar outcry. And back in 2004, Marge Simpson was on the list. In fact, if you go back and look at previous years, the list was much more frivolous than in more recent times, with significant numbers of incumbents being reality show winners and breakthrough pop acts from any given year. Then there’s the latest Clarkson outrage. Seemingly he’s been insulting India by making an edition of Top Gear in India. Clarkson plays the oaf and buffoon, alongside his willing accomplices. But having seen the programme in question, the main problem was that it was simply a substandard episode in general. I don’t think any of the weak humour was any better or any worse than we’ve heard elsewhere. Was it crude and schoolboyish in places? Absolutely. Could they have done better? Almost certainly. But I don’t really care. If they continue to make substandard episodes, then the programme will get cancelled at some point sooner than it might otherwise. In the meantime, listening out for every utterance that Clarkson makes with the seeming intention of forcing the BBC to sack him is both pointless and at the same time, chilling. I might not particularly like some of the things he says, and I’m pretty sure that his politics are rather different to mine. But I don’t care. I don’t have the right not to be offended at all times. Particularly if that offence is not being very funny (case in point – Mrs Brown’s Boys, which keeps getting recommissioned for even more unfathomable reasons than Two Pints of Lager ever had). 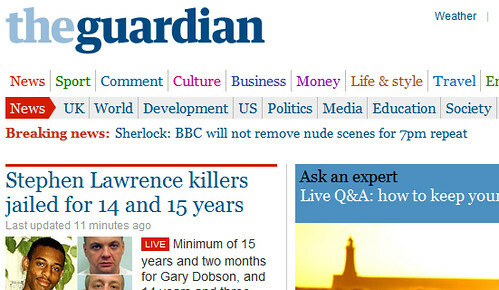 This latest episode, rather worringly, seemed to have been kicked off by a report in The Guardian. Yet hatred of Clarkson, and more particularly, the BBC seems to actually be a Daily Mail trait. Although Clarkson and the Mail aren’t miles apart in political terms, he does write for papers in the News International stable rather than Associated Newspapers. So that probably has a bearing. And of course, he broadcasts on the BBC, so the Daily Mail has to give him a kicking as part of their ongoing campaign against the broadcaster1. These are just two examples that I’ve given more time here than they deserve. But the same could be said for Clarkson’s joke on The One Show during the recent strike, or whatever nonsense Liz Jones, Richard Litteljohn or Melanie Phillips has written in their column on any given day. There’s always a new “outrage”, and social media environments do much to ferment and spread it. Yet in the end, they’re mostly pointless and unimportant. Has someone said something hideously stupid/sexist/homophobic/racist/anti-science/intolerant/whatever? Probably. Are they fools? Probably. Should I be getting my knickers in a twist about it2? Probably not. So how about in 2012, not sharing that link online. Don’t go reading articles and columns you know are going to drive you mad. Don’t complain to Ofcom or the BBC about something you’ve not seen. Don’t take offence at things that are just stupid or unfunny rather than actually offensive. Don’t call for someone to be banned or sacked because you don’t agree with them. That can go both ways and someone who’s views you do agree with might be sacked if we go down that route. Instead, try to get concerned about things that actually matter. Injustice in the world; the oppressed; the needy; the downtrodden. Care about what man is doing to man3. There are so many stories out there that do need to be told. And in a celebrity-obsessed culture, they perhaps need our help even more. They’re the stories that don’t make it into the tabloids. You won’t read about them in Metro or the Daily Mail online. They’re the stories we should be sharing on Twitter and Facebook. Of course it’s still possible that some columnist will say something so vile it could be considered a racially aggravated public order offence or similar. But they probably won’t. So don’t waste time on them. In the meantime, concentrate on what actually matters in 2012. [UPDATE] Some graphical evidence that explains what I’m talking about. 2. Meant in a non-sexist context. 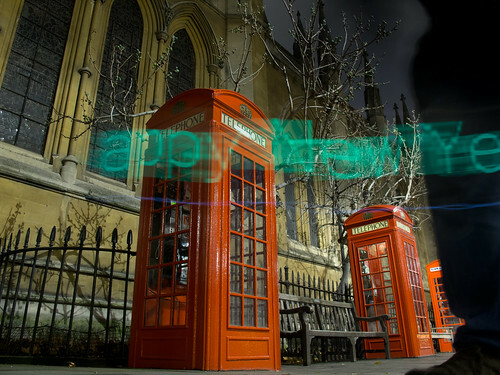 Picture taken using an Android app called Aurora Bulb. But I need to practice a bit more to get my timings, and ideally not stand so still in shot.